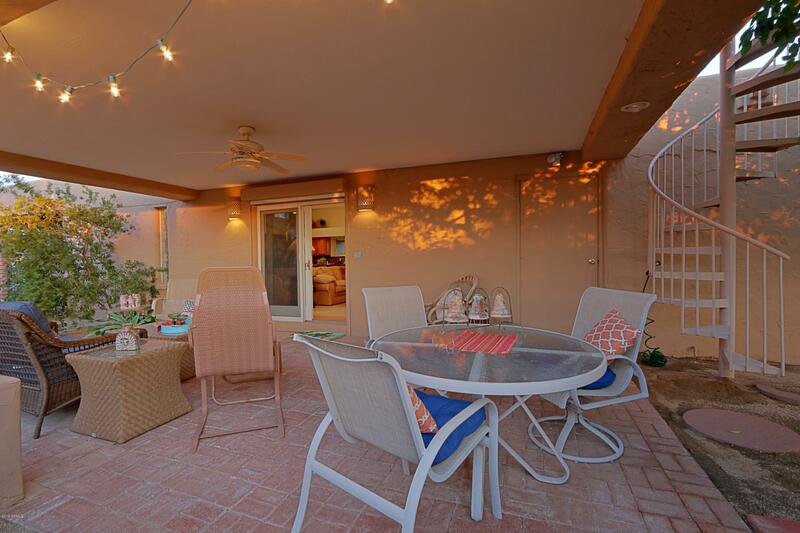 Perfect in-city hideaway!! 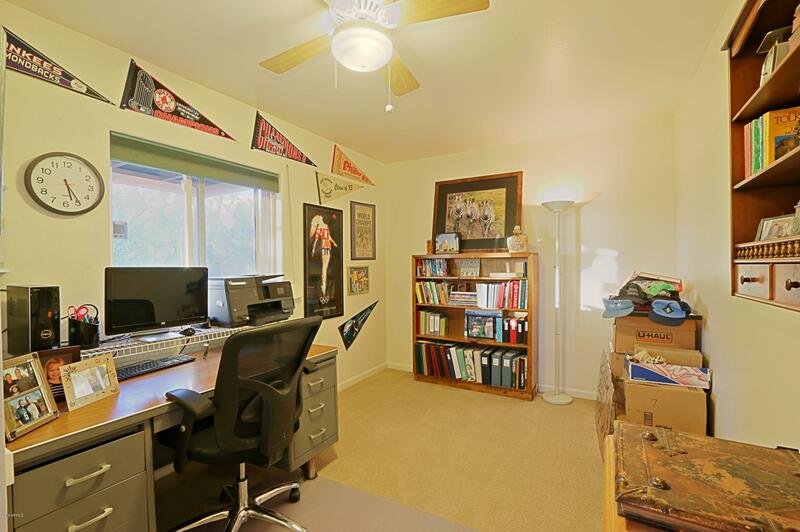 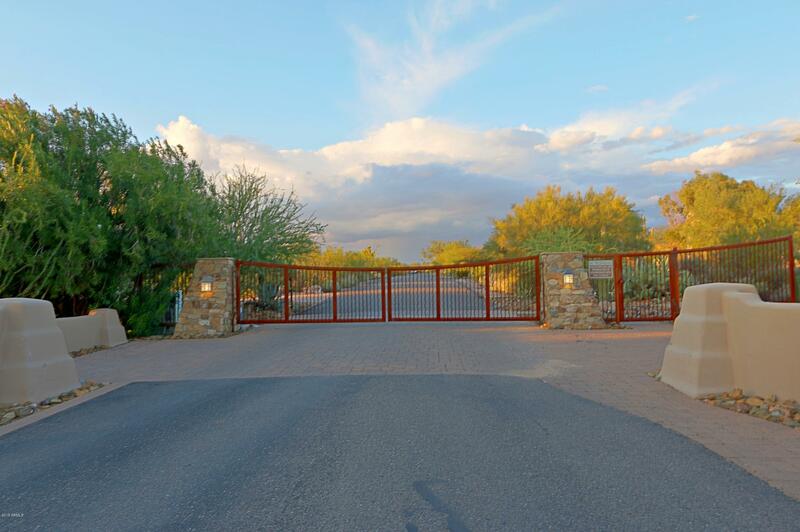 Largest lot (shy 2 acres) in 85255 under $875,000. 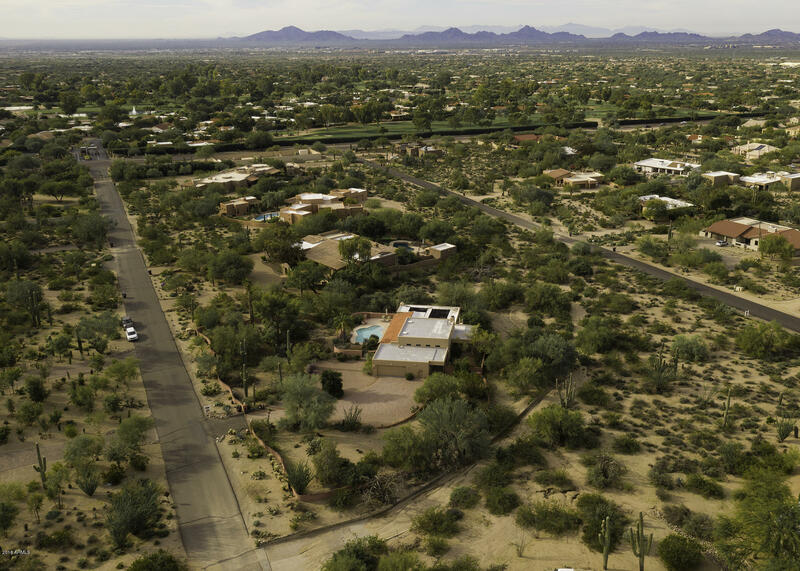 Territorial style block home, land & location, & no steps! 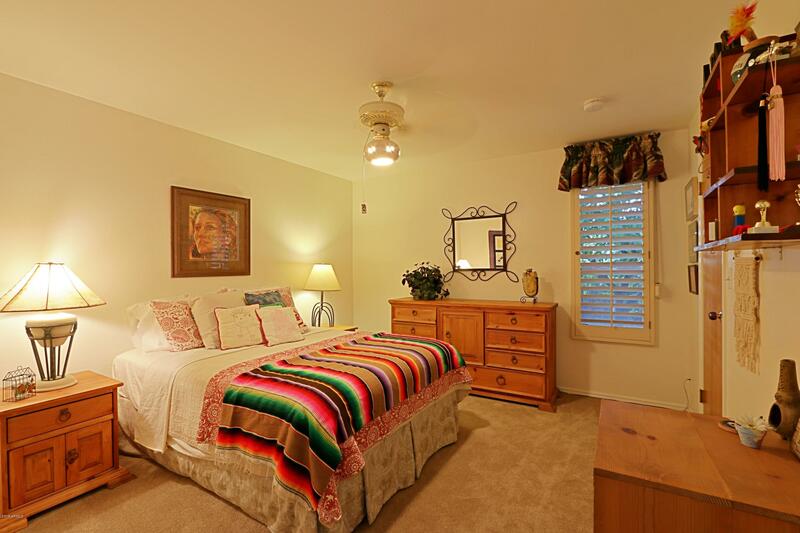 Add your touches and call it home. 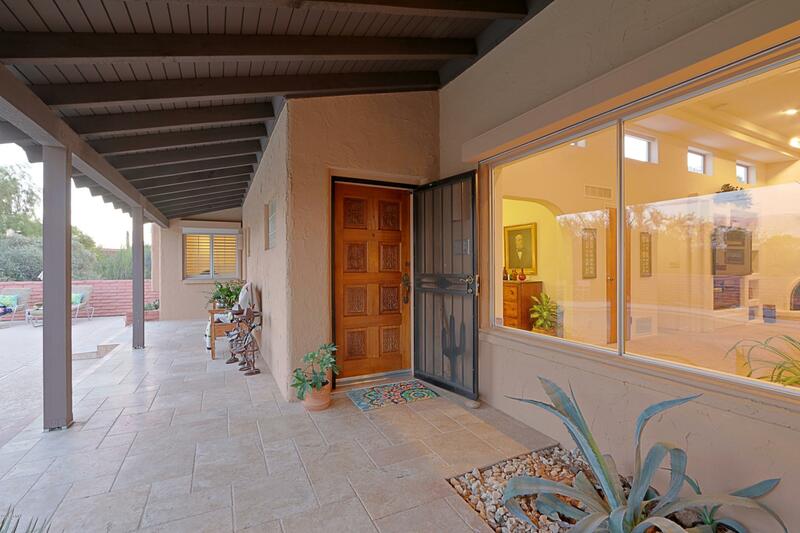 Neighborhood is on the rise: numerous new builds and remodels add VALUE. 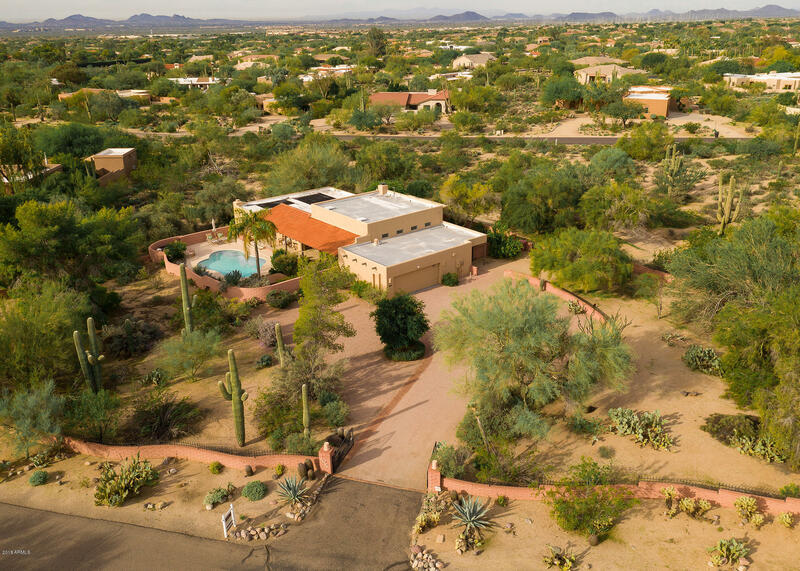 Nestled in privately gated quiet enclave Pinnacle Paradise...home offers the ultimate in privacy & space in a peaceful, secluded community. 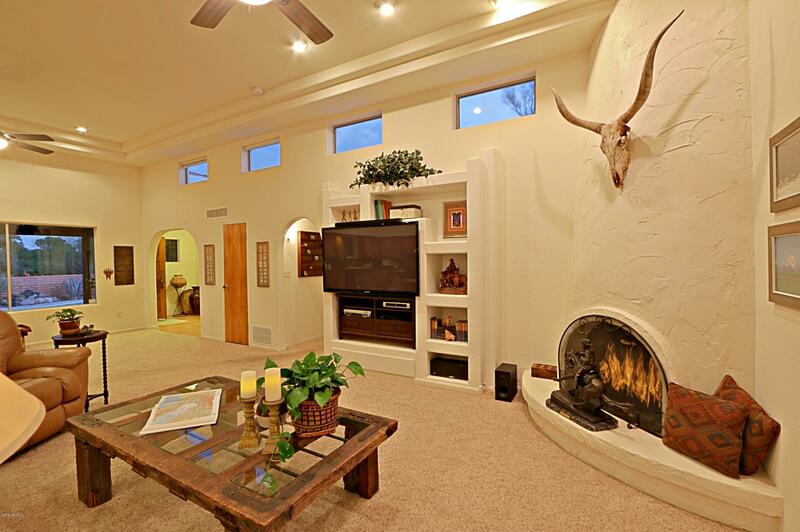 Great room design with soaring ceilings open to front and back patios and pool for iconic Arizona feel of indoor/outdoor living. 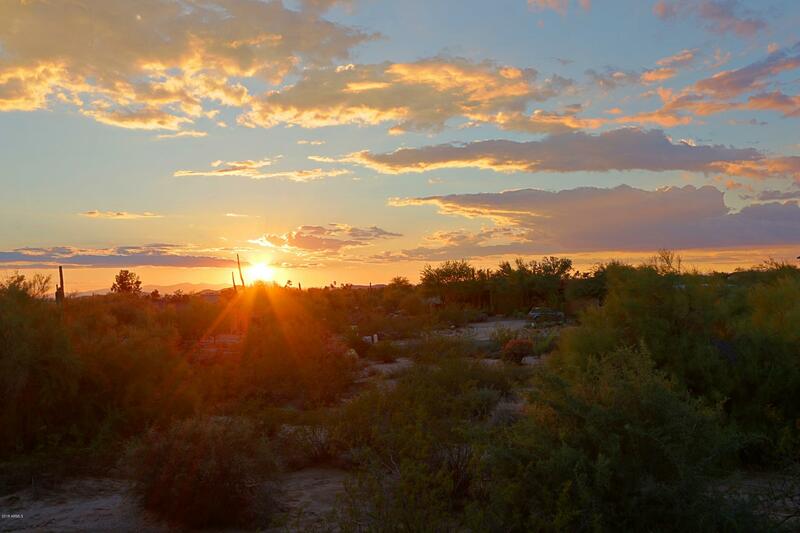 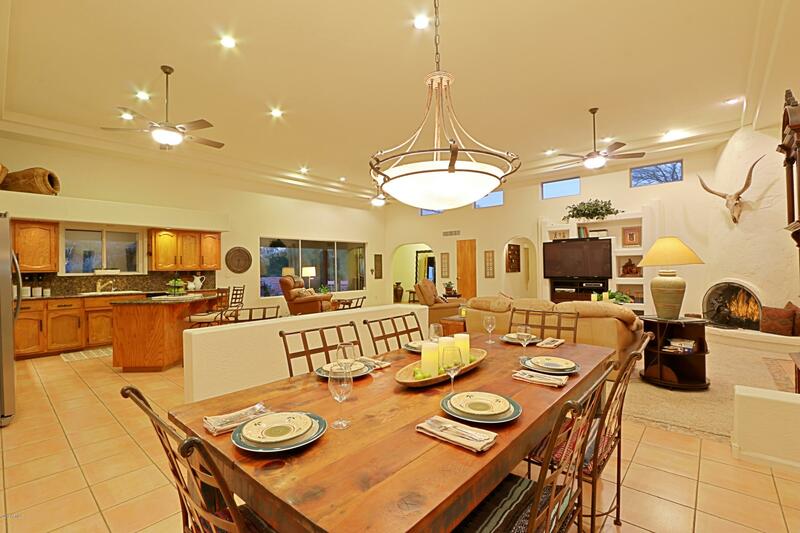 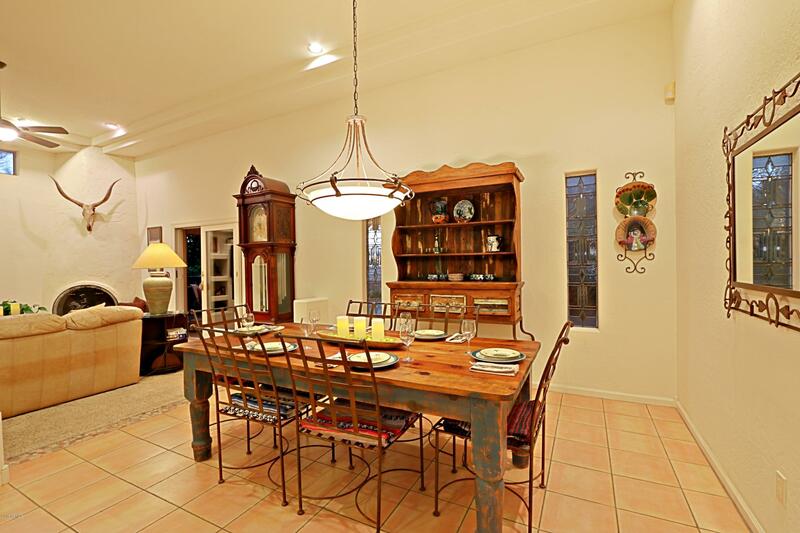 Ideal N Scottsdale locale, yet on the pulse of shopping, dining, golf, hiking, highways, schools. 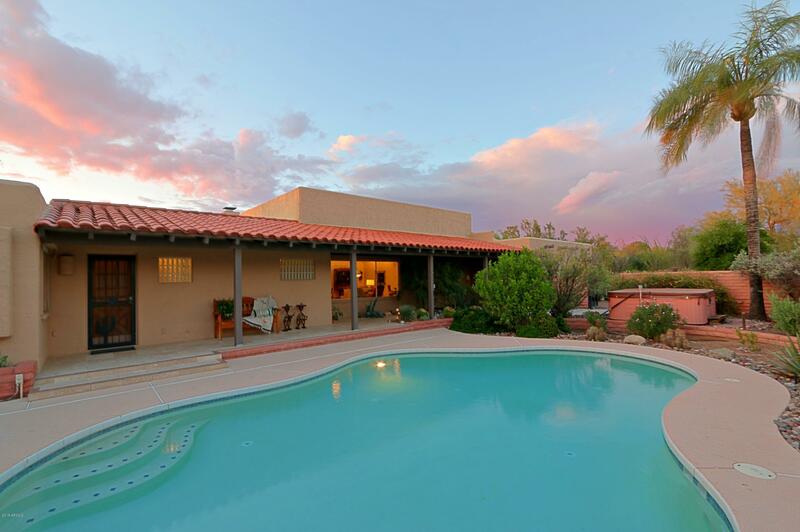 Pvt master with fplc and pool access. 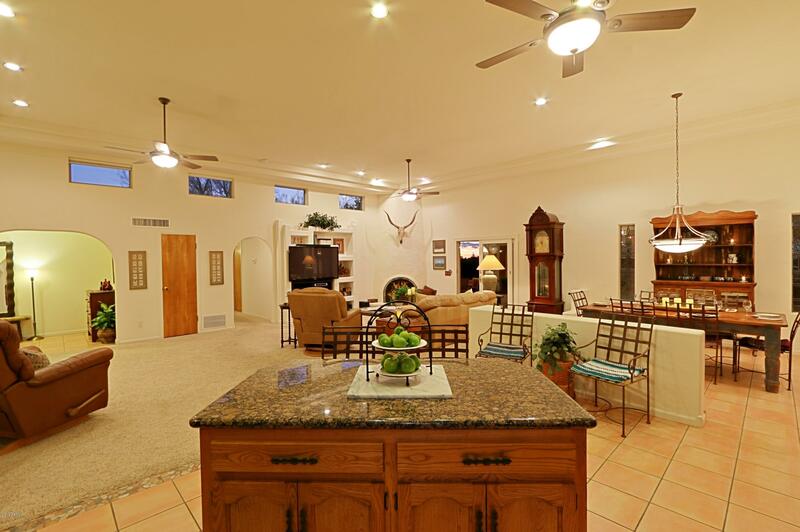 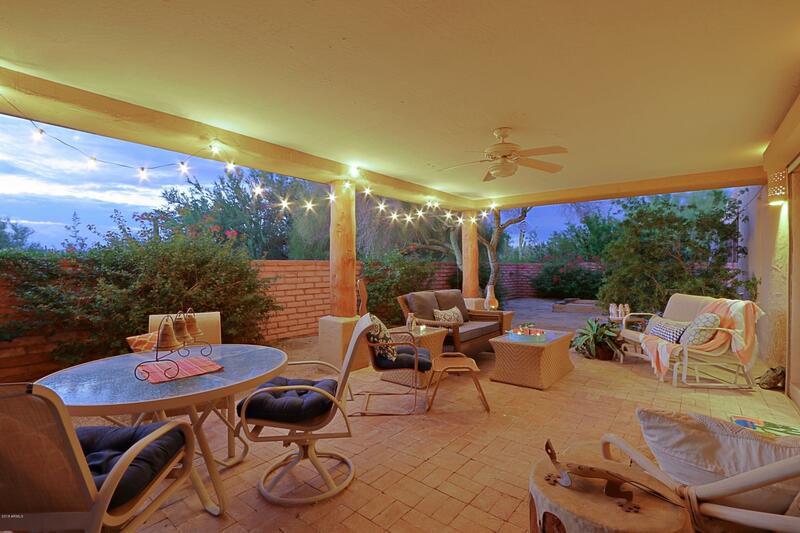 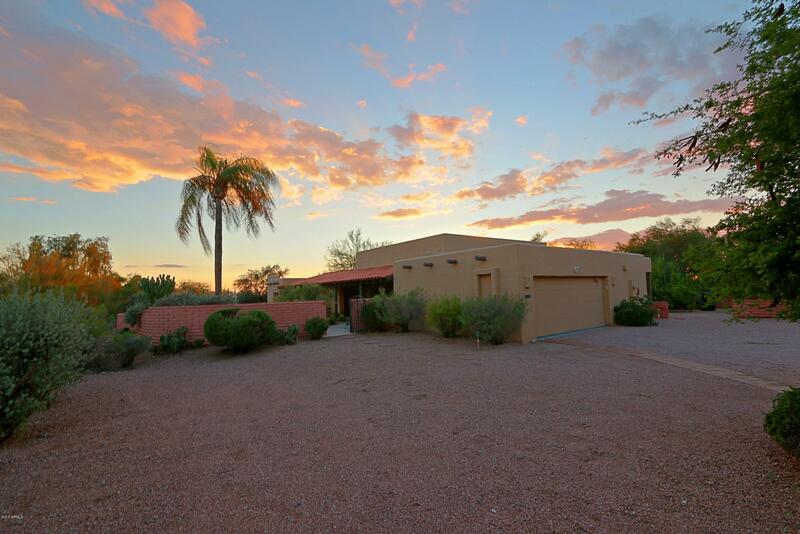 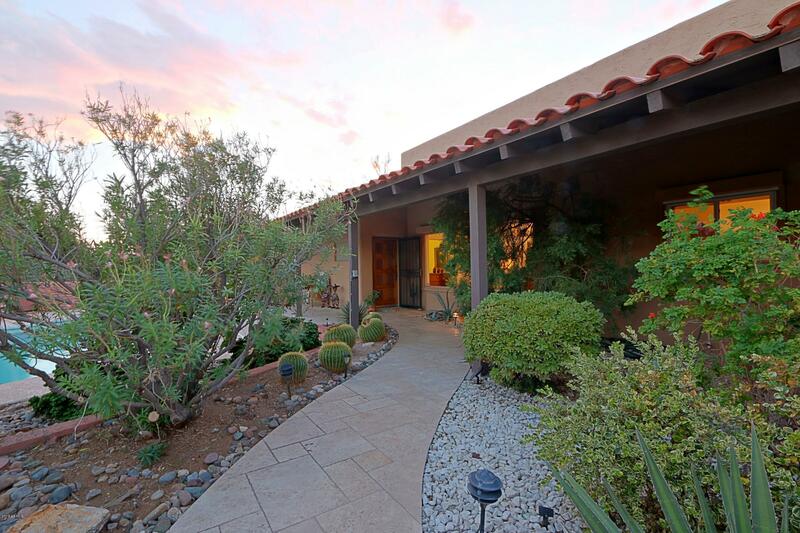 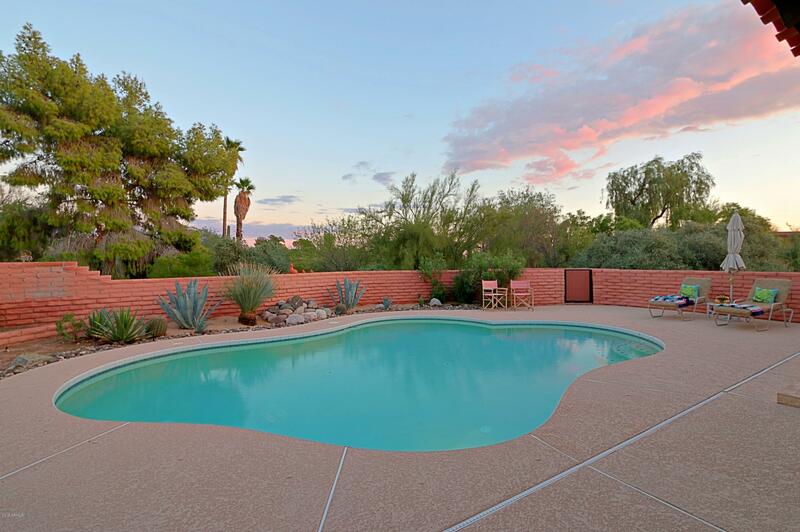 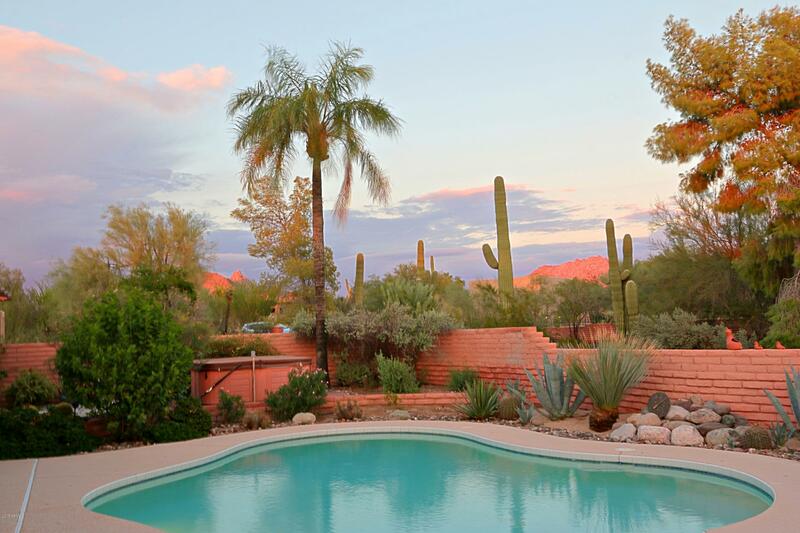 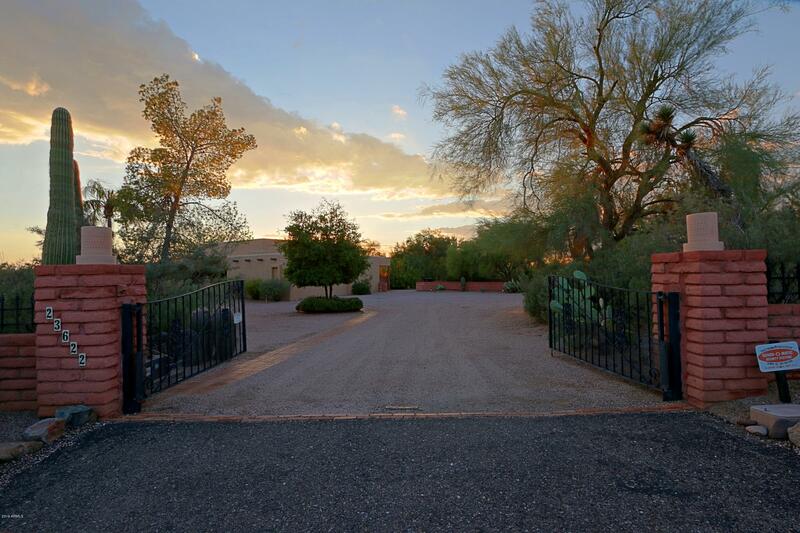 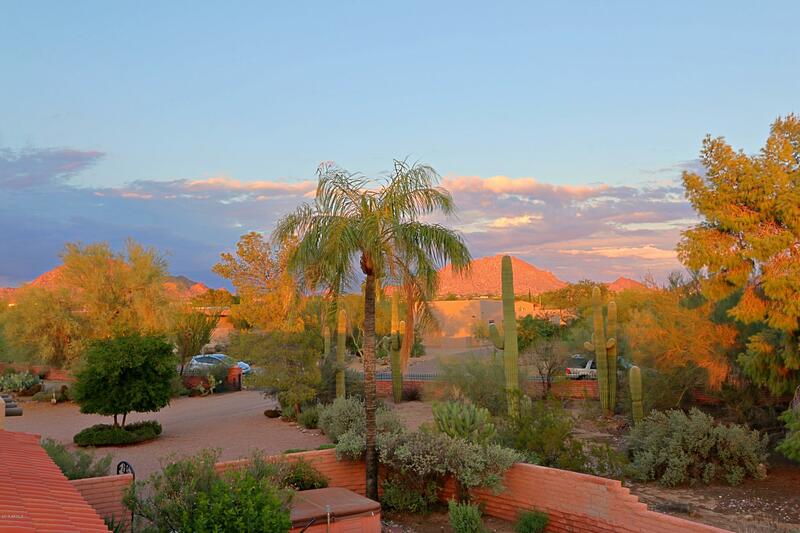 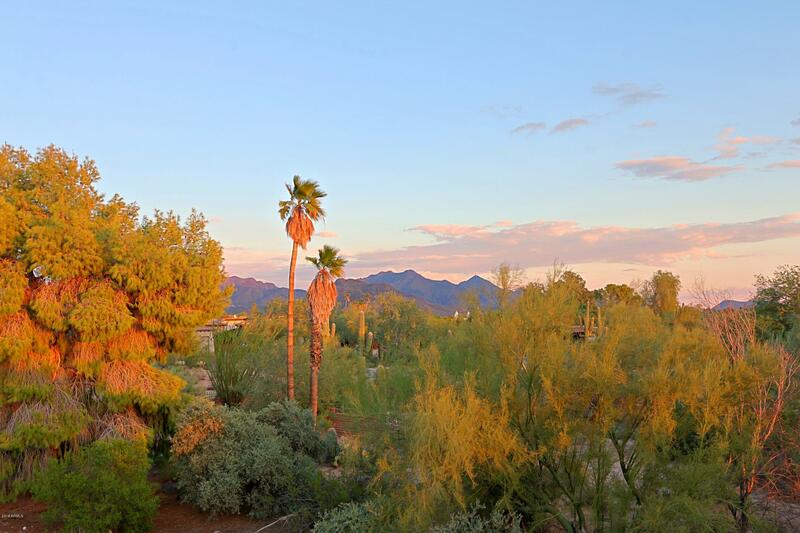 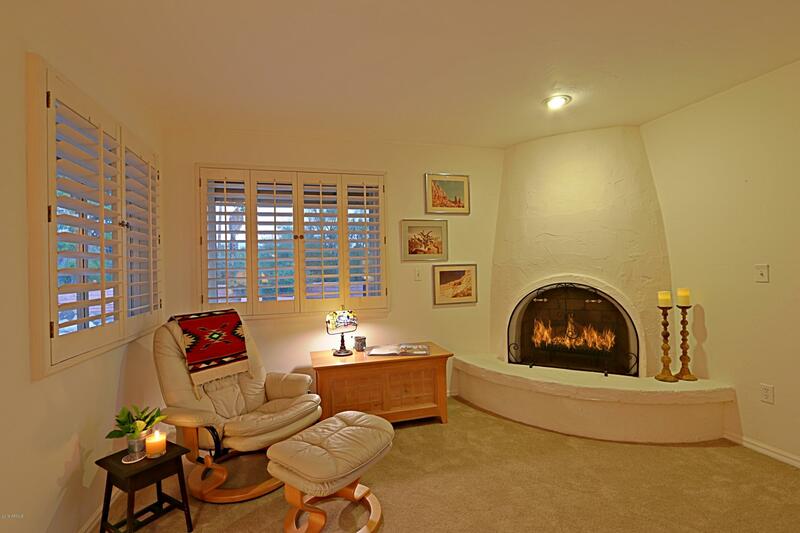 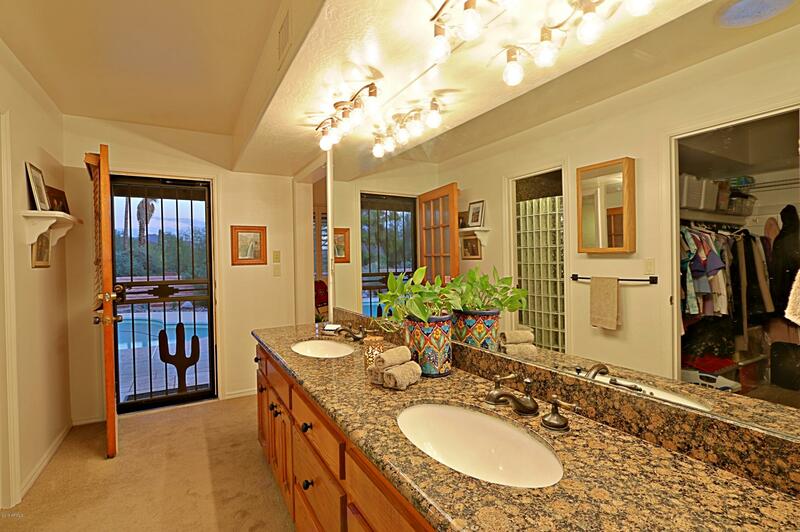 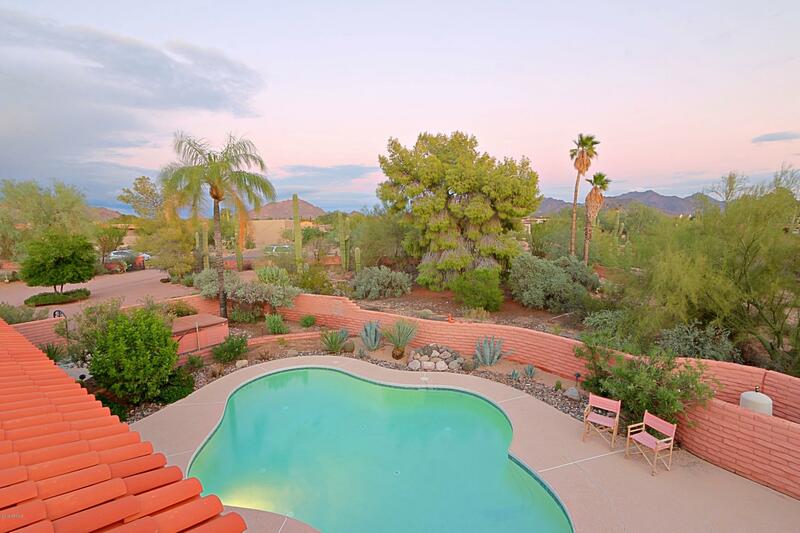 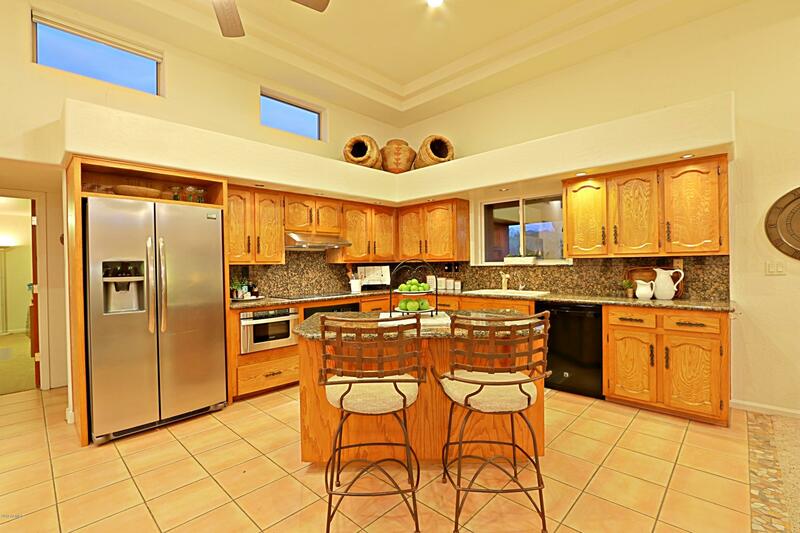 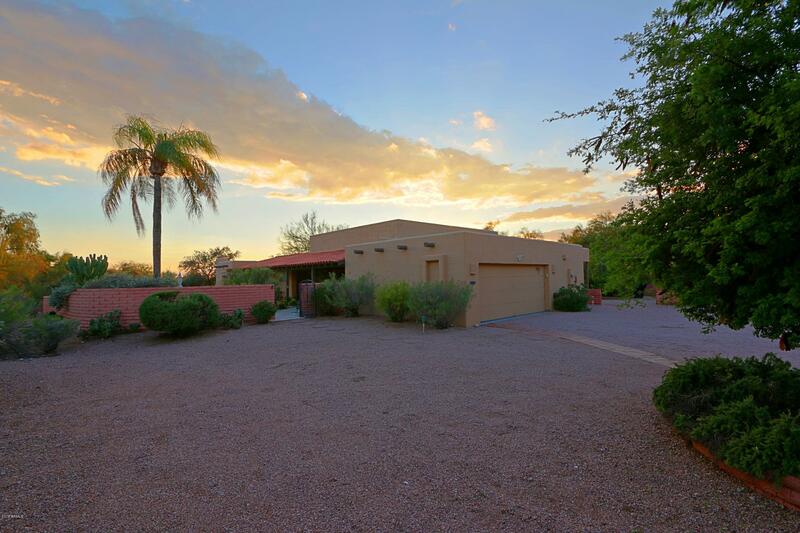 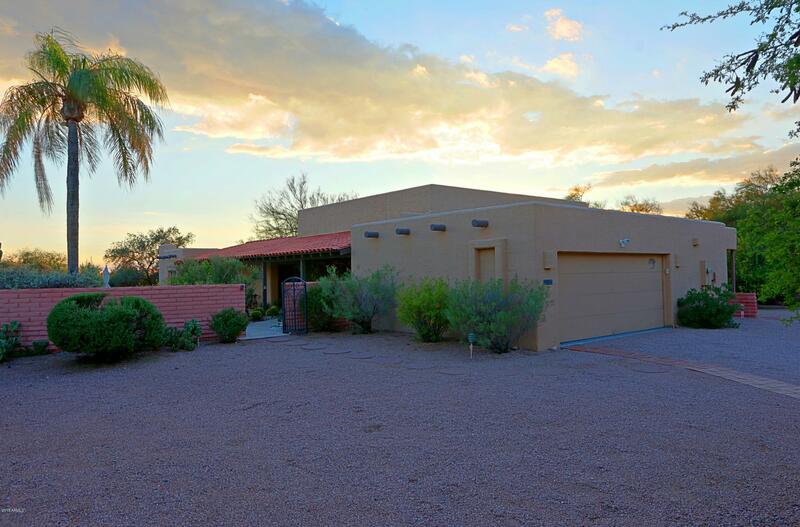 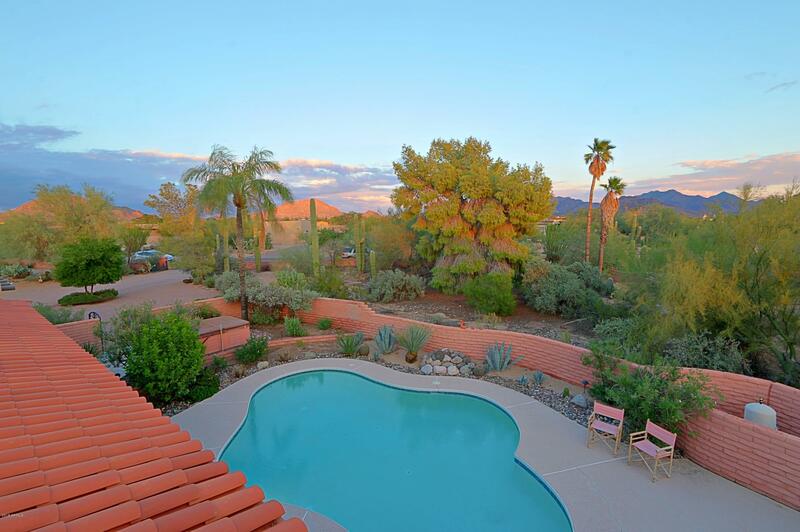 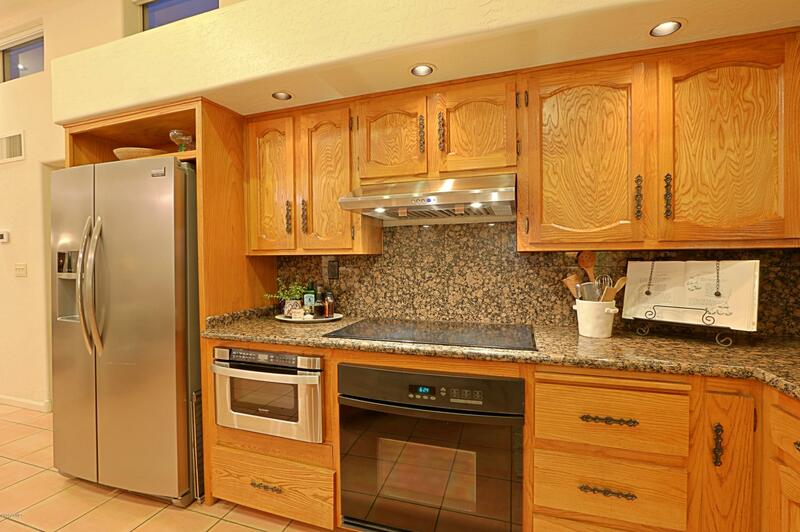 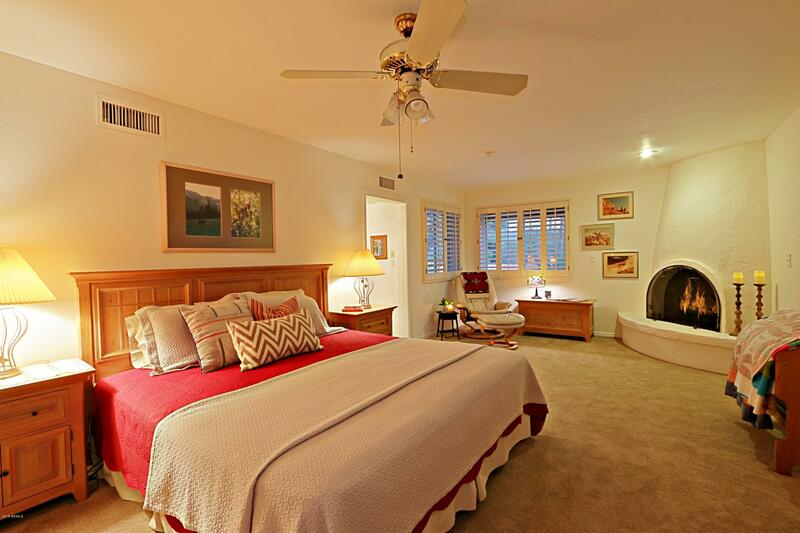 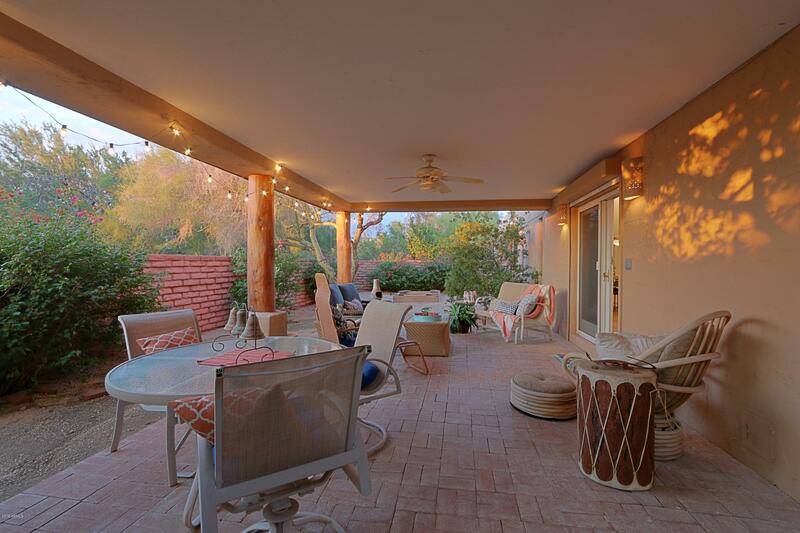 Mature landscaped grounds give the house a private, recessed feel...views of Pinnacle Peak and spectacular sunsets. 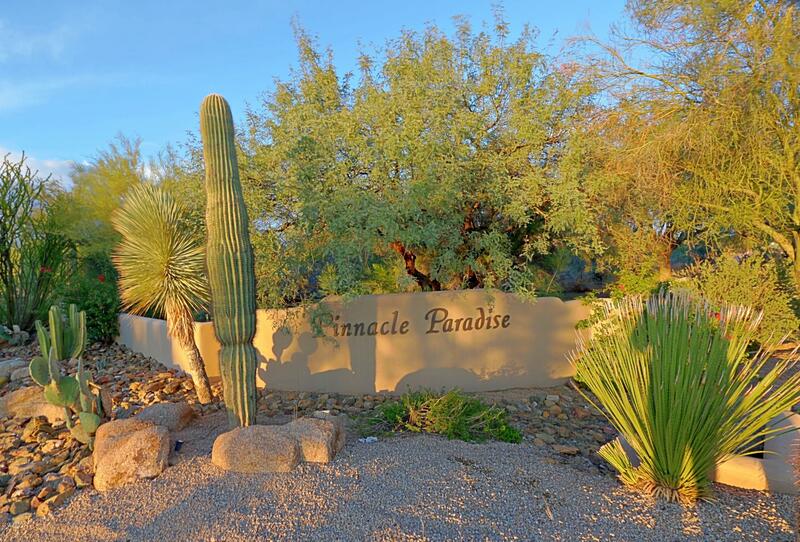 Go west from Pima/Pinnacle Peak and turn north into Pinnacle Paradise gated community on 84th Place. 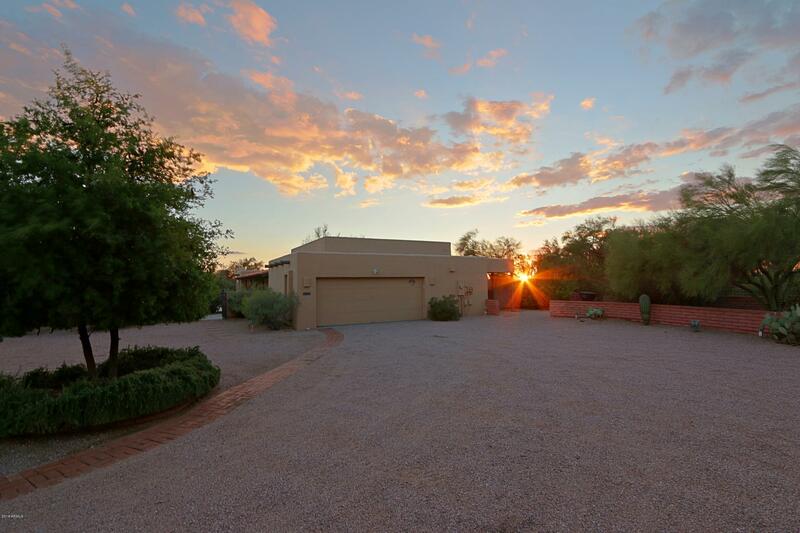 Head north to property on the west side of road.